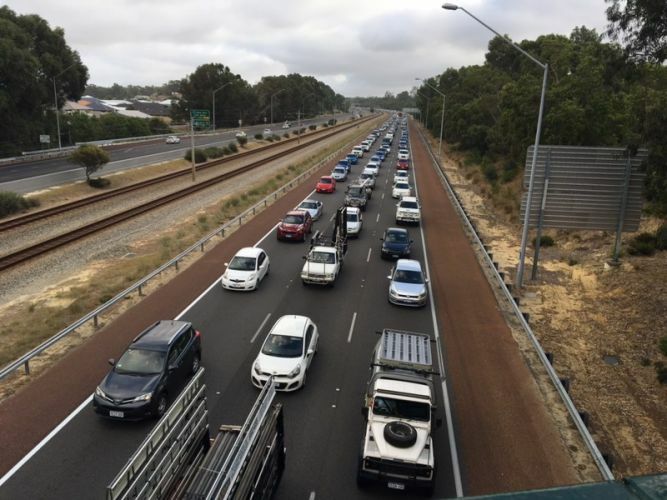 UPDATE: The Mitchell Freeway overpass on Shenton Avenue is currently closed westbound. Main Roads have advised drivers to avoid the area if possible. EARLIER: The Mitchell Freeway overpass in Connolly has been partially blocked following a crash this morning. The crash on the Shenton Avenue overpass was reported around 6.45am and initially caused all lanes to be blocked. However, Main Roads have advised the left lane is currently the only one blocked, although it is still causing heavy congestion in the area. They have recommended nearby commuters allow for extra travel time.